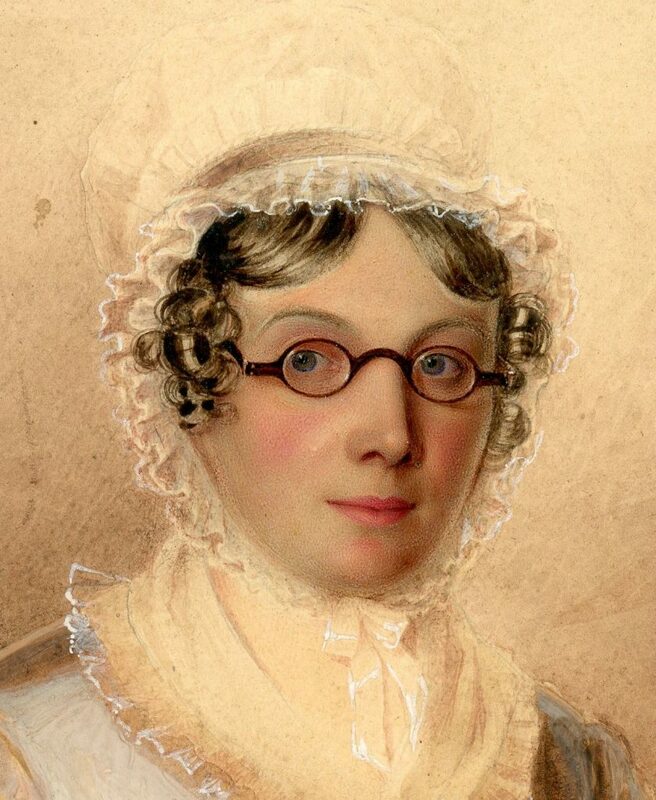 It’s somewhat unusual to see a portrait of a comparatively young lady wearing spectacles as vanity would most likely have led to their removal whilst sitting for the artist. Nonetheless, the spectacles do make this an eye-catching portrait! Seated, the delicately-featured lady is wearing a blue-grey empire-line dress with long narrow sleeves and a frilled neckline with a white kerchief fill-in. 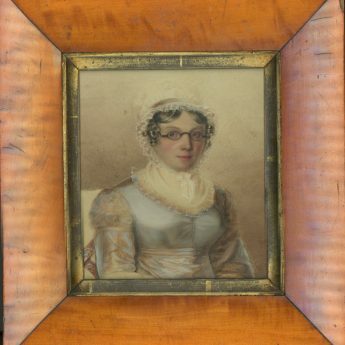 Her brown curls peep out from under her mob cap that is trimmed with lace and tied under her chin with ribbon. 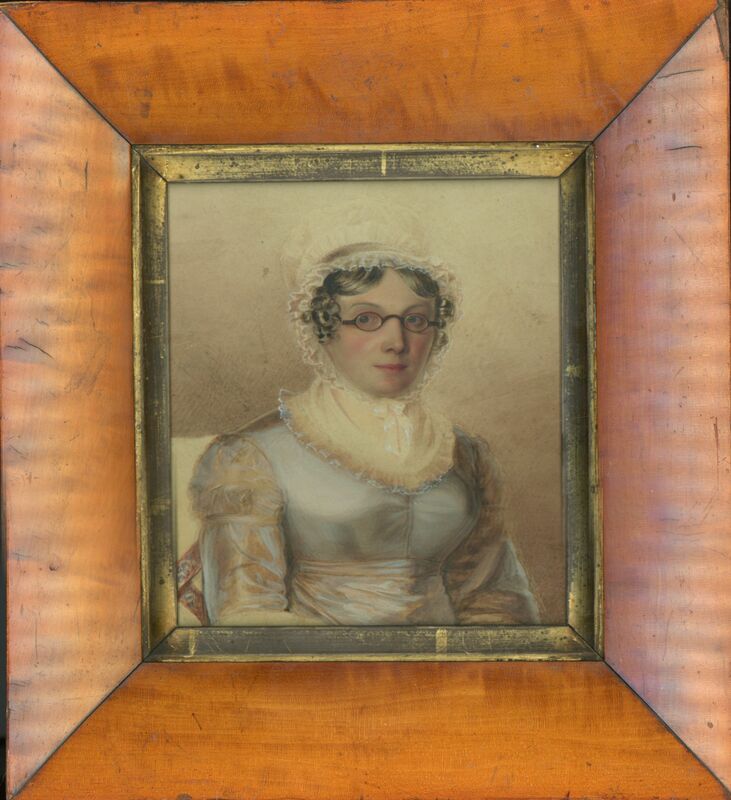 The watercolour is set in a handsome maple frame with a flat profile and a gilt slip now dulled with age.